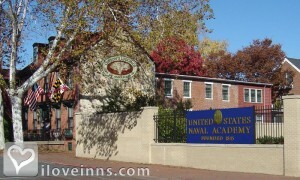 Annapolis bed and breakfast travel guide for romantic, historic and adventure b&b's. 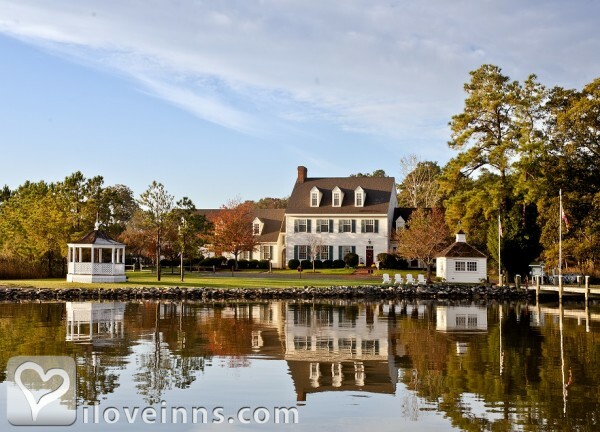 Browse through the iLoveInns.com database of Annapolis, Maryland bed and breakfasts and country inns to find detailed listings that include room rates, special deals and area activities. You can click on the 'check rates and availability' button to contact the innkeeper. Whether you are heading to Annapolis, Maryland for a quick weekend getaway with the whole family or are on a business trip, there are several Annapolis bed and breakfasts and inns that will accommodate your every need. All the places to stay at Annapolis are equally adept when it comes to providing their guests a well deserved good night's sleep. If you want to make your stay at Annapolis memorable, then try one of the Revolutionary War-era bed and breakfasts that will give you both history and a homey atmosphere. Unlike the big cities nearby, Annapolis is proud to have kept its own laid-back-city vibe. In Annapolis, water is just about everything, so you can set sail, spend a day relaxing at the bay, cruise around Annapolis or just come aboard one of the charter boats and witness the breathtaking creeks that feed the Bay. By Annapolitan Bed & Breakfast. The lifestyle of Annapolis is laid-back with a taste of big-city excitement. Located between Baltimore, Maryland and Washington, DC, Annapolis attractions combine small-town accessibility with a cosmopolitan flair.However, unlike either of its big city neighbors, Annapolis has a vibe of its own. Water defines its boundaries and personality, meaning a relaxed environment where you can learn to Set Sail, Get Outside, or just relax and enjoy the Annapolis Lifestyle. By Inn At Horn Point.